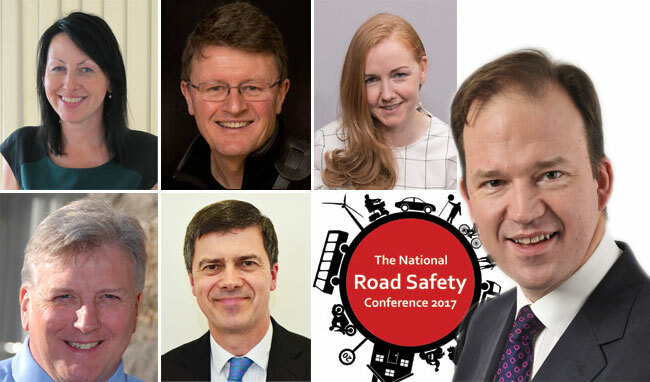 Jesse Norman MP, Parliamentary under secretary of state for roads, local transport and devolution, will deliver a presentation via video to delegates attending the 2017 National Road Safety Conference in Manchester on 14-15 November. Mr Norman’s presentation – which will be the opening keynote address on the afternoon of 14 November – completes the line-up for the session titled ‘The Big Picture’. This will be the second time in three years that the minister responsible for road safety has delivered a video presentation to the conference – with Andrew Jones MP addressing delegates at the 2015 event in Nottingham. Jesse Norman MP took over the road safety portfolio, as well as responsibility for cycling and walking policy, in July 2017 having moved to the DfT following the General Election. Mr Norman is also responsible for: buses; Highways England and strategic roads; local roads policy and funding; motoring agencies; road freight; transport and the environment; and transport technology. Mr Norman will provide an overview of the Government’s priorities with regard to road safety and associated matters. The presentation forms part of ‘The Big Picture’ session, which will see national road safety stakeholder organisations outlining their priorities, campaigns and initiatives for 2018 and beyond. The other speakers in the session are: Sonya Hurt and Alan Kennedy, chair and business and operations manager respectively of Road Safety GB; Gareth Llewellyn, chief executive officer of the DVSA; Dawn Lauder, head of marketing and communications at the DfT; and Michael McDonnell, director of Road Safety Scotland.